Home Food & Beverage SHRIMP TEMPURA ALL YOU CAN!!! SHRIMP TEMPURA ALL YOU CAN!!! 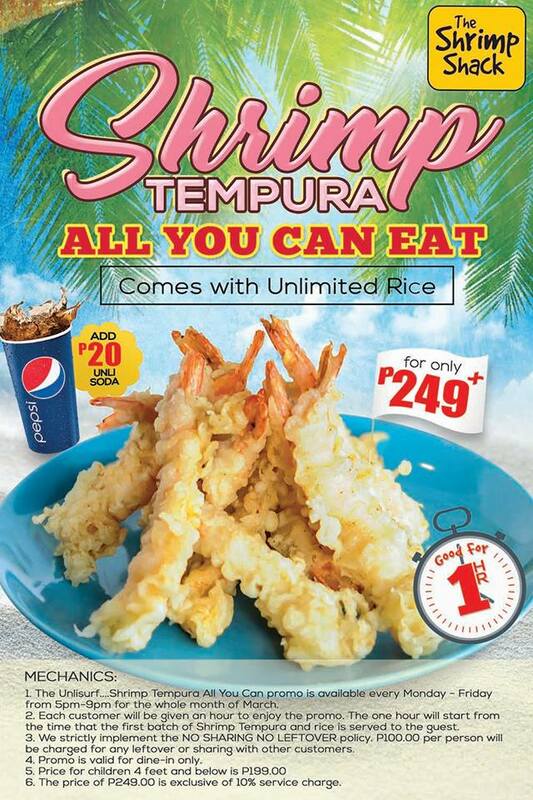 UNLISURF…SHRIMP TEMPURA ALL YOU CAN!! Available at all The Shrimp Shack outlets for the whole month of March!! Here’s a few guidelines for the promo to give a head start! See you soon!! SM MALL OF ASIA, SM THE BLOCK, ROBINSONS PLACE MIDTOWN, ROBINSONS PLACE ANTIPOLO, ROBINSONS PLACE PIONEER & MARKET! MARKET! 1. 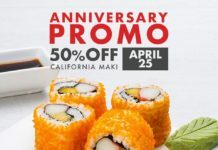 The Unlisurf….Shrimp Tempura All You Can promo is available every Monday – Friday from 5pm-9pm for the whole month of March. 2. Each customer will be given an hour to enjoy the promo. The one hour will start from the time that the first batch of Shrimp Tempura and rice is served to the guest. 3. Strictly NO SHARING NO LEFTOVER policy. 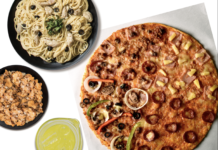 P100.00 per person will be charged for any leftover or sharing with other customers. 4. Promo is valid for dine-in only. 6. 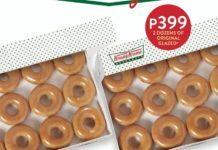 The price of P249.00 is exclusive of 10% service charge. Next articleTHIS WEEKEND ONLY: NIKE SALE!! !